Shahob joined Watsi on June 21st, 2015. 152 other people also joined Watsi on that day! 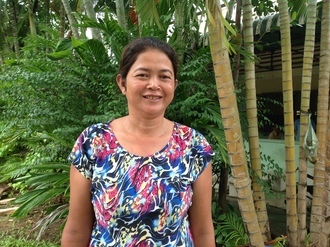 Shahob's most recent donation supported San, a 63-year-old woman from Thailand, to fund a hysterectomy. Shahob has funded healthcare for 17 patients in 9 countries. San is a 63-year-old woman who has an uncomfortable gynecological condition and was referred to Burma Children Medical Fund (BCMF), our medical partner. She is originally from Burma but moved to Thailand after her husband passed away. She has seven children. Two years ago, San started to feel tightness around her lower abdomen. She began to experience troubling gynecological and urinary symptoms. At our medical partner's clinic, she was given oral medication and sent to the hospital for some investigative testing. Our medical partner's doctors concluded that she needs to have surgery. In the last few weeks, San has been experiencing bleeding and pain. She cannot walk long distances or sit for too long. Fortunately, on April 6, San will undergo a hysterectomy to remove her uterus. Our medical partner, BCMF, is requesting $1,500 to fund her treatment. 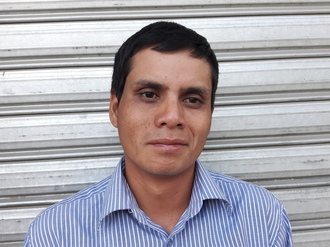 Santos is a 29-year-old husband and father who lives with his wife and daughter in rural Guatemala. He has cataracts, a condition in which the normally clear lens of the eye becomes cloudy. His condition makes it difficult for him to see, and his vision is becoming worse over time. Until recently, Santos worked in the fields, but his failing eyesight has made it impossible for him to keep working. If left untreated, his cataracts will continue to grow, and he will eventually go blind. Thus, our medical partner has scheduled surgery for March 4. Since Santos has not been able to work, his wife has been weaving in order to add to the family’s income. Santos is unable to afford surgery without outside help. For this reason, our medical partner, Wuqu' Kawoq, is requesting $1,500 to fund the surgery. The treatment will include further evaluation from an eye specialist, surgery to remove his cataracts, a post-op follow-up treatment, and transportation throughout his treatment process. The surgery will positively impact Santos’s life for years to come by allowing him to provide for his family and see his daughter grow up. "My wife and I are very happy, because, God willing, I will be able to see and therefore continue to take care of my family," says Santos. "Thanks very much to you all for the help." 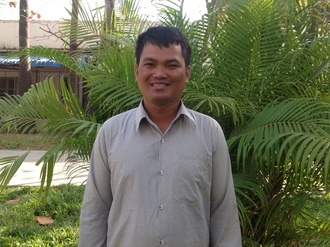 Bunthan is a 32-year-old farmer from Cambodia. He is happily married and has two sons. Bunthan makes instruments for fishing and plants vegetables behind his home. In his spare time, he enjoys watching boxing matches. On January 2, 2007, Bunthan was in an accident that left him with a fracture. He went to a Khmer traditional healer for treatment. Six years later, he got into another accident. Bunthan went to a private clinic, where doctors attached a plate and screws to his humerus. The plate helped his injury heal but has recently started to cause pain and discomfort. 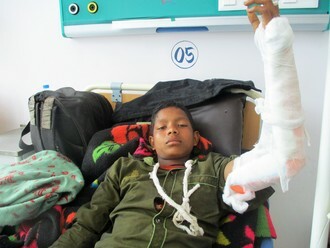 Doctors at our medical partner, Children's Surgical Centre (CSC), have scheduled surgery on February 14 to perform a plate removal from his left humerus. CSC is requesting $411 to fund this procedure. Bunthan looks forward to being free from pain. Astania lives in Port-au-Prince, Haiti, and has three older brothers and one older sister. Her father works in construction. Her mother normally sells rice in the marketplace, but has stopped in order to care for Astania. Astania was born with a cardiac condition called ventricular septal defect. A hole exists between the two lower chambers of her heart. Blood leaks through this hole without first passing through the lungs to obtain oxygen, leaving her severely fatigued. In February of 2016, Astania underwent a procedure to stabilize her heart and allow it to grow larger, so that a complete repair could be attempted later with lower risk. Astania will undergo a second surgery soon to completely fix her heart defect. First, Astania will undergo a full cardiac assessment on January 19. This assessment will include physical exams, labs, and an overnight stay at the hospital. Our medical partner, Haiti Cardiac Alliance, is requesting $1,500 to fund these procedures. Funding for Astania also covers the cost of medications and social support for her and her family. Gift of Life International is contributing $3,500 to cover additional costs associated with Astania's surgical care. "We are so happy," said Astania's mother, "that after this surgery Astania will be a normal healthy child!" Lun is an 82-year-old man from Cambodia. He is married and has four children and eight grandchildren. He likes to listen to the monks pray on the radio, read books on Buddhism, and meditate at the pagoda. Recently, Lun developed cataracts in both eyes, causing blurred vision, tearing, cloudy lenses, and photophobia, an extreme sensitivity to light. He now has difficulty seeing things clearly, recognizing the faces of family and friends, and reading. He has also been unable to perform work around the house or go outside by himself. Lun heard about our medical partner, Children’s Surgical Centre, from a neighbor in his village who had surgery there before. Lun traveled with his grandson, reaching the center in hopes of receiving treatment. "I hope my eyes can see everything more clearly than now,” Lun says, “so that I can recognize the faces of everyone, read, and do any kind of work easily." Lun is scheduled to undergo cataract surgery on January 17. Our medical partner is requesting $292 to cover the cost of the operation, lens implants for each eye, and medication. After surgery, Lun will be able to see clearly again. "I am so excited that I will be able to undergo surgery,” Elsie shares. “I have been praying for this.” Elsie is a 34-year-old mother of two from the Philippines. Sometimes, her husband’s income as a day laborer is not enough to meet their family's daily basic needs. Because she believes education will help her children out of poverty, Elsie has called on her family to help pay for her children’s schooling fees. Now, however, Elsie is seeking financial help for her own urgent needs. For some time, Elsie has been experiencing severe leg cramps and numbness during menstruation. This prevents her from performing her daily household chores and from taking care of her children. Elsie endured the pain until she was able to access a free medical consultation with our medical partner, International Care Ministries. The clinician there diagnosed her with uterine fibroids. Although these growths in Elsie’s uterus are non-cancerous, without treatment they can lead to complications such as anemia, urinary tract infections, and infertility. Fortunately, Elsie will avoid these outcomes by undergoing a hysterectomy on February 17. We can sponsor this operation, as well as its associated lab tests, supplies, and five-day hospital stay, for $187. This treatment will restore Elsie to a physically comfortable day-to-day existence. “I am excited to live a life free of pain," she says. Nan is a 44-year-old woman with one son and one daughter. She likes to cook, look after her children, and take care of her home. In July, a cow hit Nan's right elbow, causing a dislocation. She initially visited a Khmer traditional healer for treatment, but her symptoms did not improve. It is difficult for Nan to use her right arm, and she is unable to cook for her family. Nan heard about our medical partner, Children's Surgical Centre (CSC) from a radio program, and she traveled for four hours with her husband to reach CSC for treatment. On October 26, surgeons performed an open reduction internal fixation procedure to relocate and secure her right elbow. She needs help to fund this $411 procedure. "I want to have what's necessary to provide a good diet to Dany, so he will grow like he should for his age," shares the mother of 10-month-old Dany. Dany lives with his four siblings and his parents in a small home in a rural community in the Guatemalan highlands. Dany's family is very humble and lacks the resources to buy much more than corn tortillas to eat. His mother takes care of the children, cooks, and cleans, and weaves traditional Mayan blouses, which she sells. His father looks for firewood in the mountains, and then makes charcoal to sell. Although Dany is malnourished, he is a very smiley child, and loves to play with teddy bears with his sister. His favorite food is beans, although his family rarely has the resources to give them to him. Dany is having a hard time growing, and now has acute malnutrition because his family is unable to give him the diet he needs to be healthy. For this reason, Dany is far too small for his age and his immune system has weakened from the lack of protein, calories, and nutrients. Since Dany's immune defenses are compromised, getting sick with a cough, diarrhea, or fever could be life-threatening. In the long term, he could face stunted neurodevelopment, low IQ, and increased risk of chronic diseases if his malnutrition is not treated. Although Dany is very sick, treatment for his malnutrition is simple. For $512, his parents will receive in-home nutrition classes to teach them about what diet Dany needs to be healthy. He will be a part of Wuqu' Kawoq's growth monitoring program and will receive food supplements and micronutrients to improve his diet. 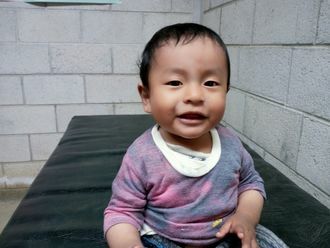 This treatment will give Dany the chance to be a healthy baby, helping him grow, strengthen his immune system, and helping him avoid life-threatening seizures and diarrhea. Hong is a 66-year-old grandmother living with her family in Cambodia. She is married with three sons, six daughters, and 13 grandchildren. She enjoys visiting the pagoda, listening to the monks pray, and participating in ceremonies in her free time. Two years ago, Hong started having blurred vision, and became unable to work well or travel independently. She and her daughter visited our medical partner, Children's Surgical Centre (CSC). She was found with a cataract in each eye and was recommended surgical treatment. Hong's doctors told her she was in need of a phacoemulsification and an intraocular lens implant in each eye, which will replace her internal lenses and restore her vision to full clarity. In total, the procedure, supplies, drugs, and three days of inpatient care will cost $225. Hong's family needs financial assistance to complete payment. Hong will have her vision cleared after full recovery from her surgery and will be able to work independently. “I hope I will see everything clearly," she adds, "and will be able to look after my grandchildren." Her daughter is looking forward to the relief that will come after her mother is independent again.